Ideal for families, couples or group of friends (up to 4 persons). 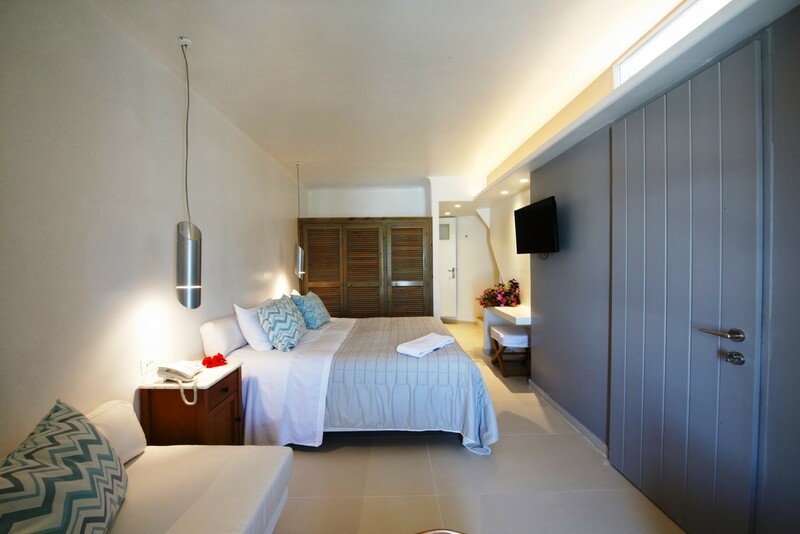 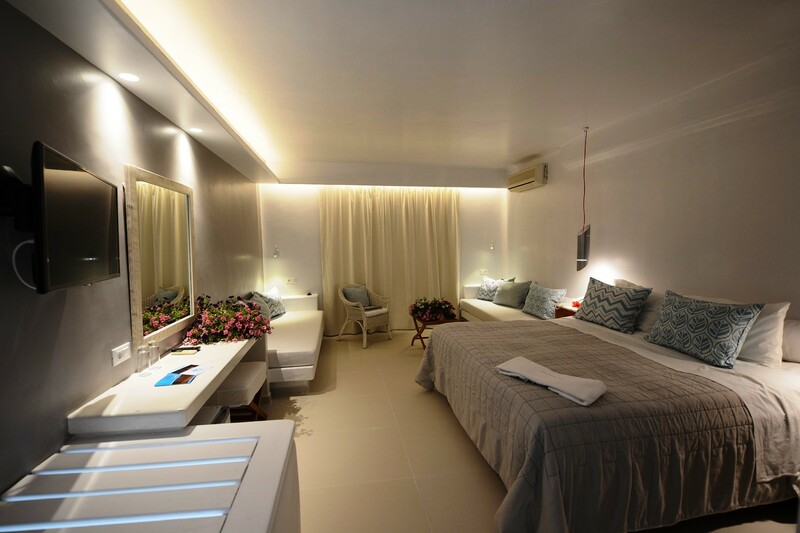 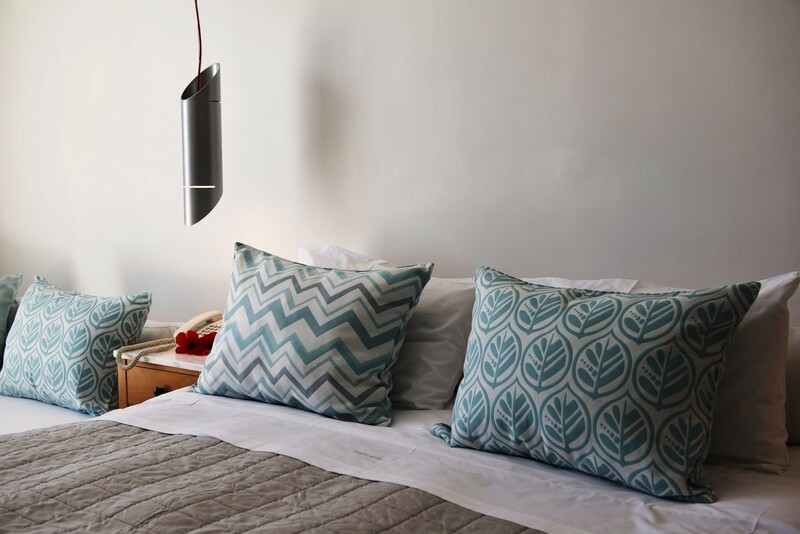 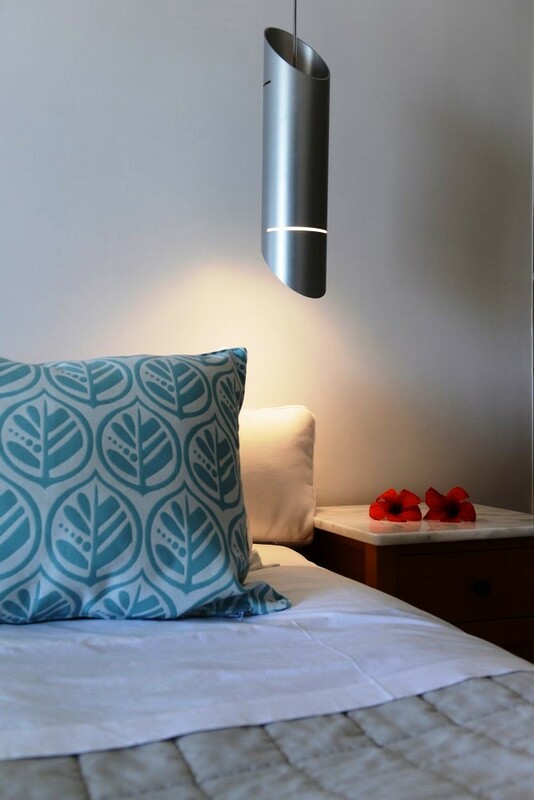 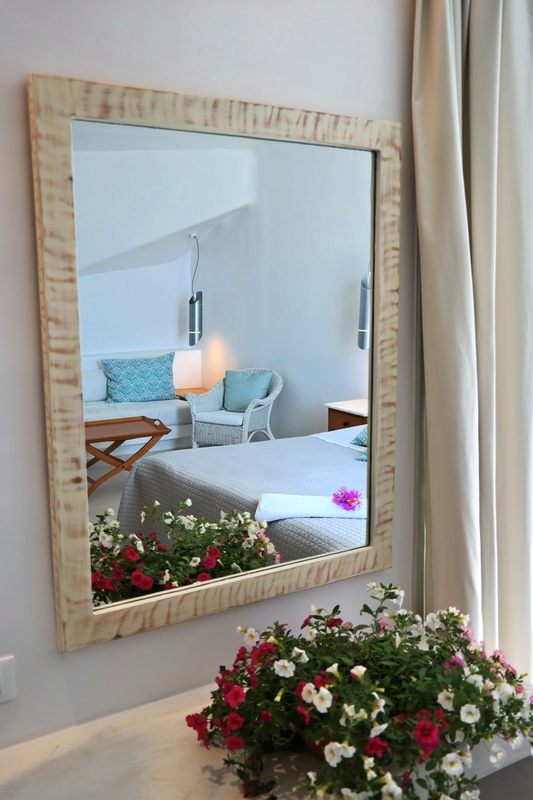 The suite has been designed to fully meet the needs and expectations of families travelling with children, couples or friends for a most enjoyable & comfortable stay with a focal point on enhanced privacy. 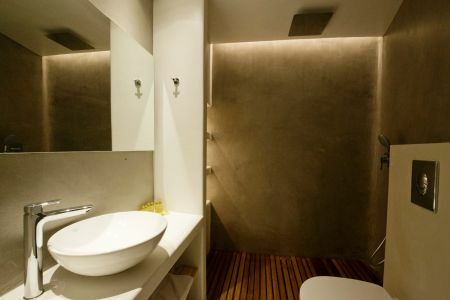 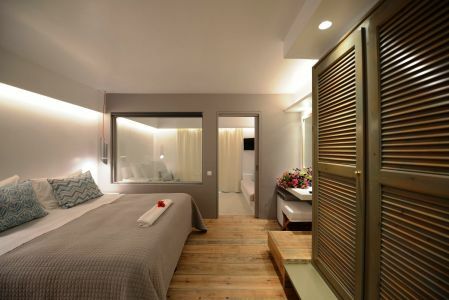 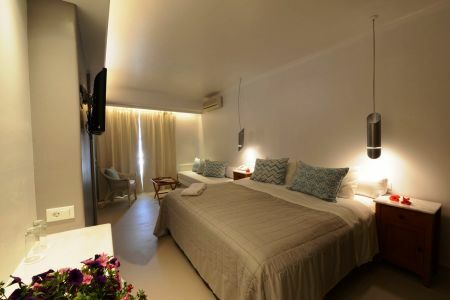 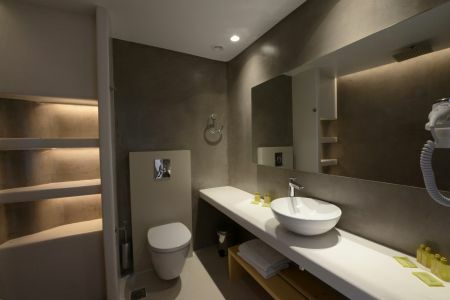 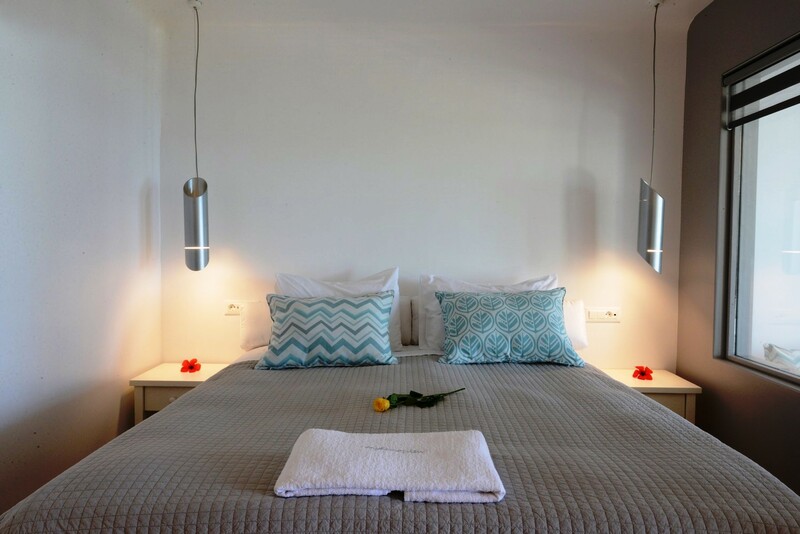 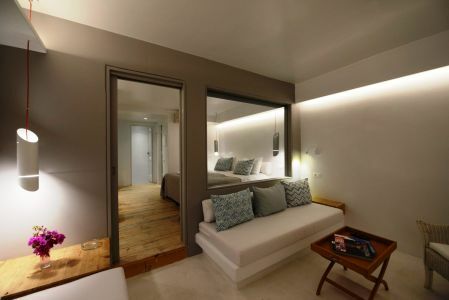 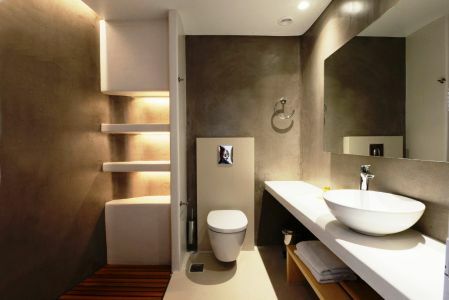 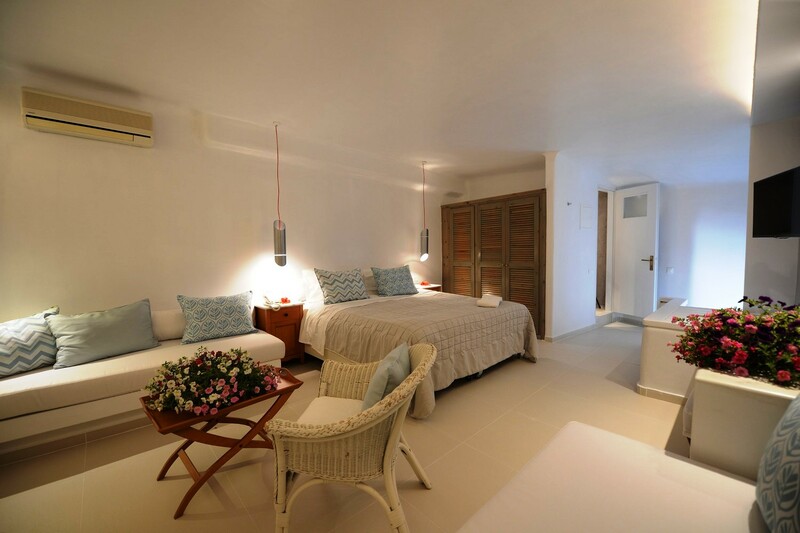 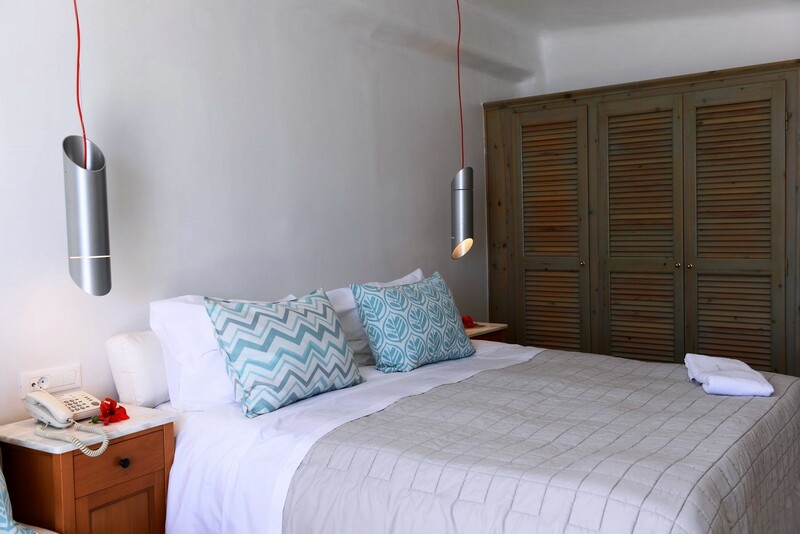 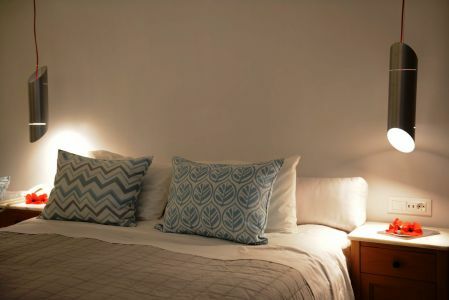 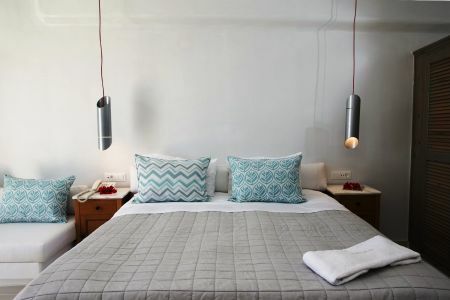 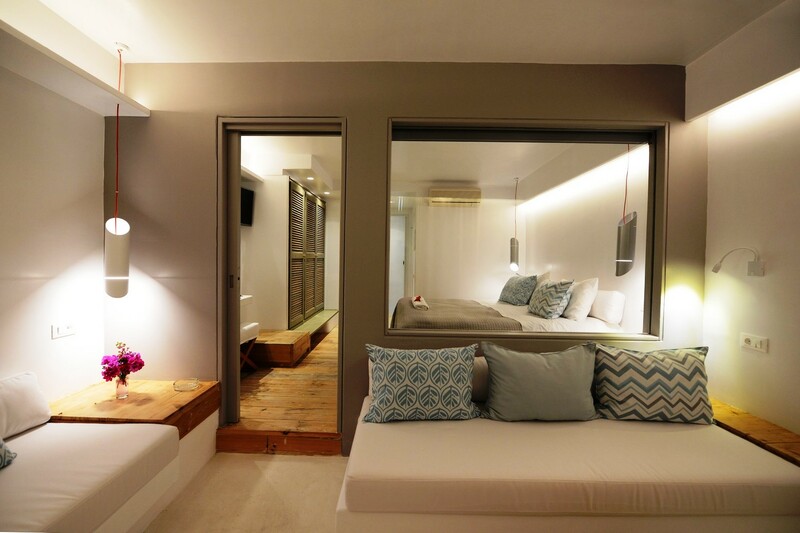 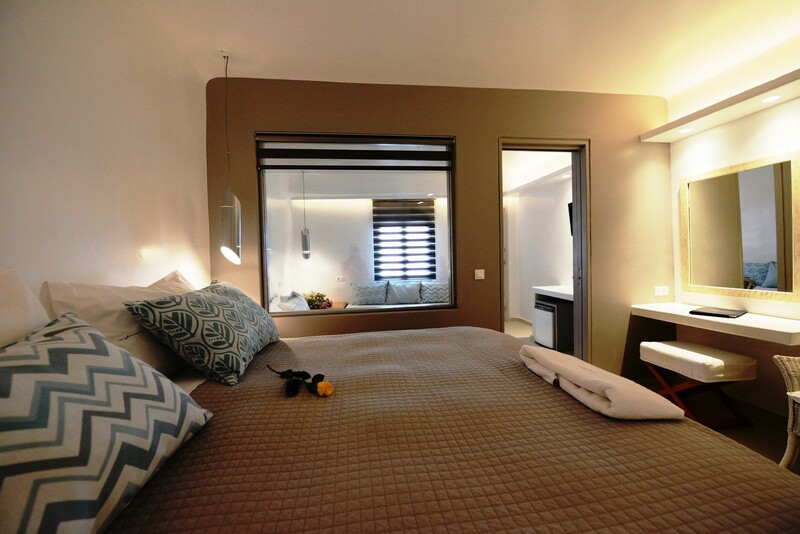 The middle size of the suite is 33m² and consists of a furnished master bedroom equipped with two single beds as well as a living room with one or two sofa beds and an en-suite bathroom with shower. 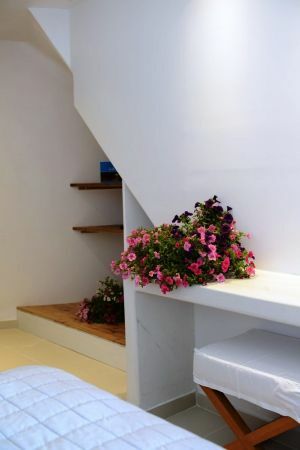 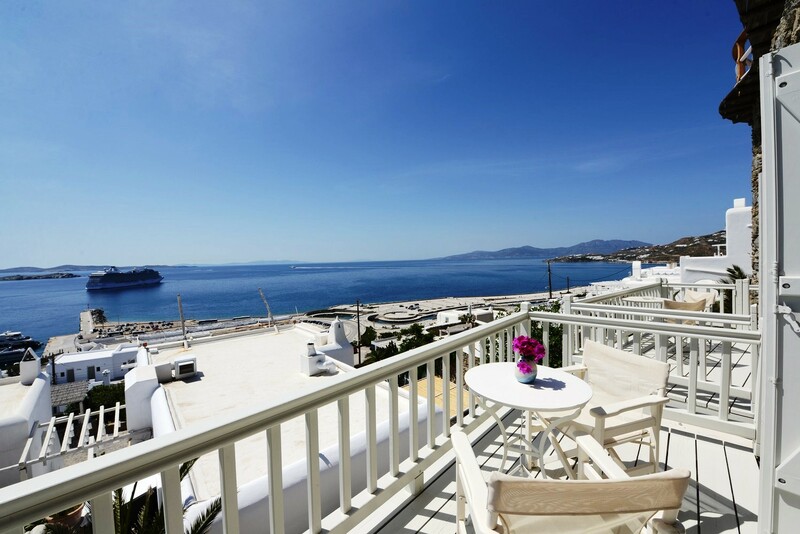 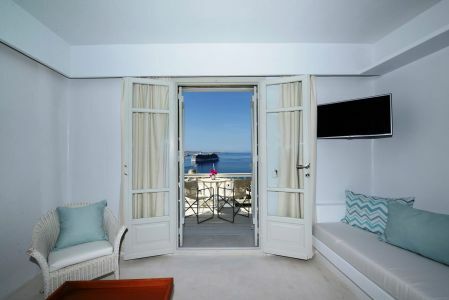 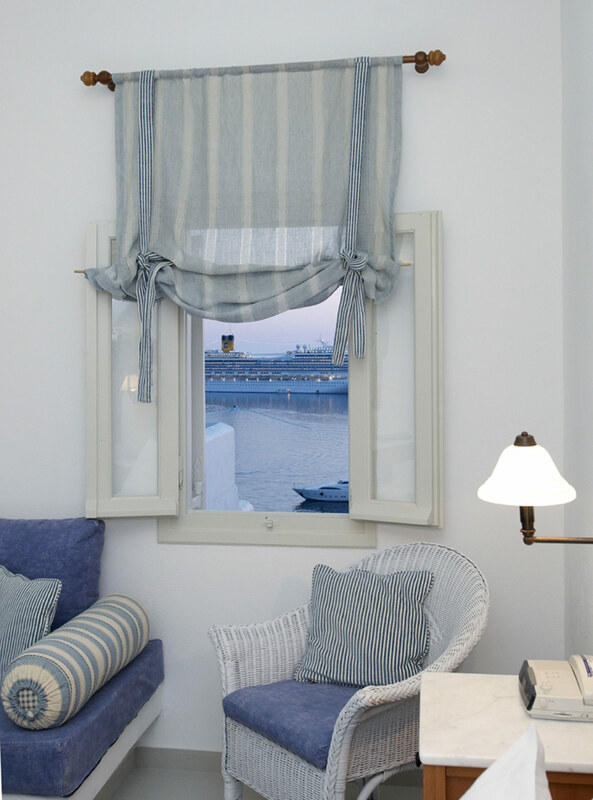 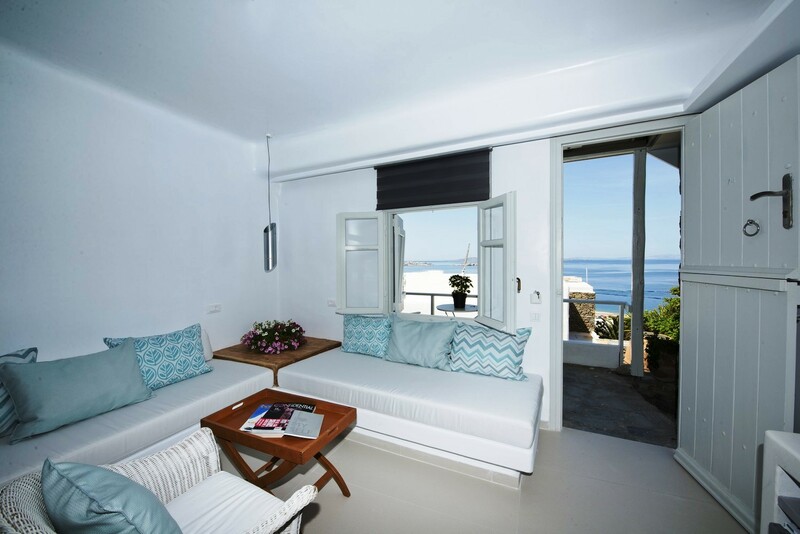 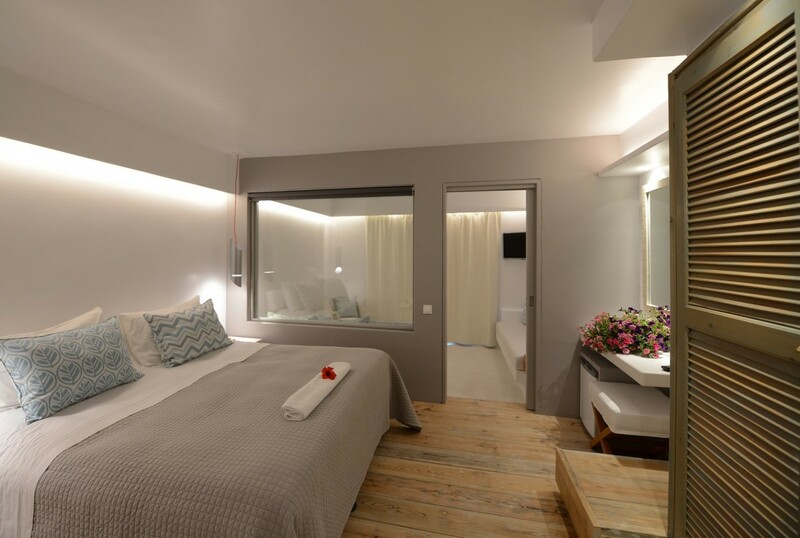 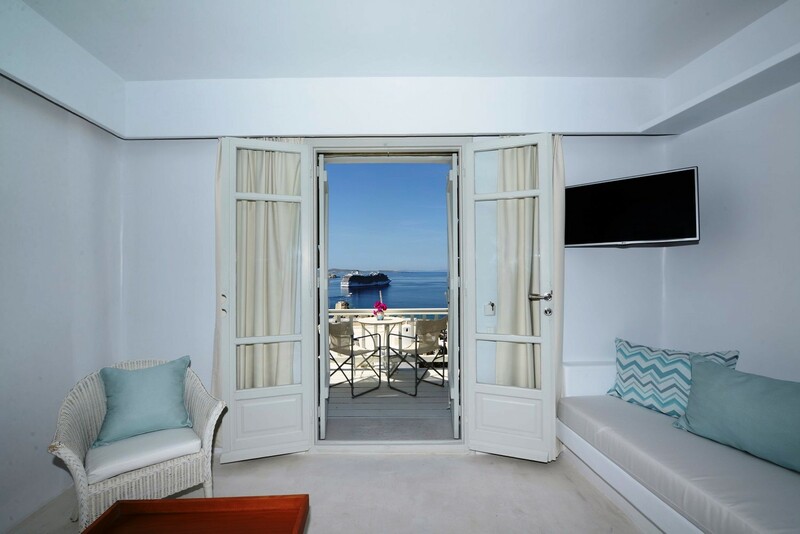 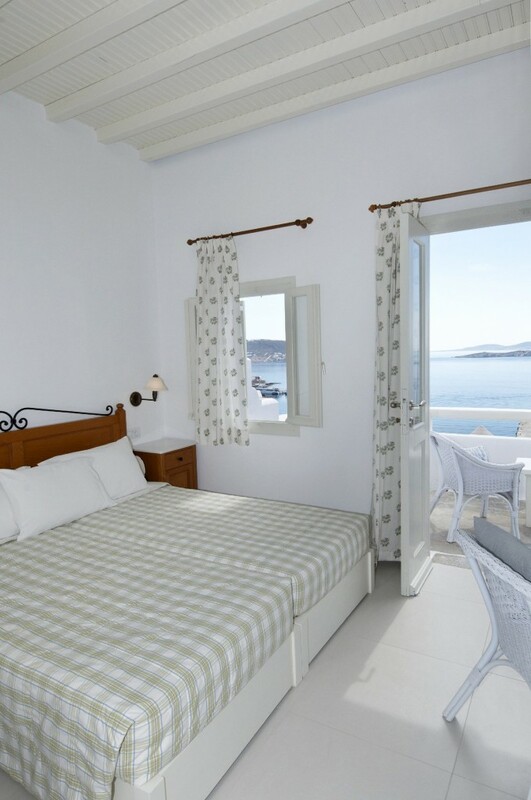 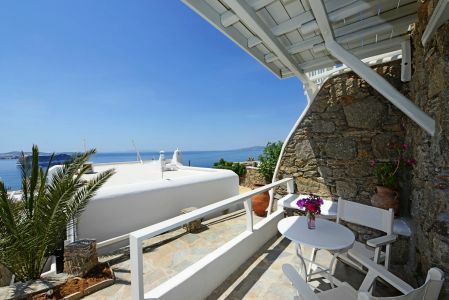 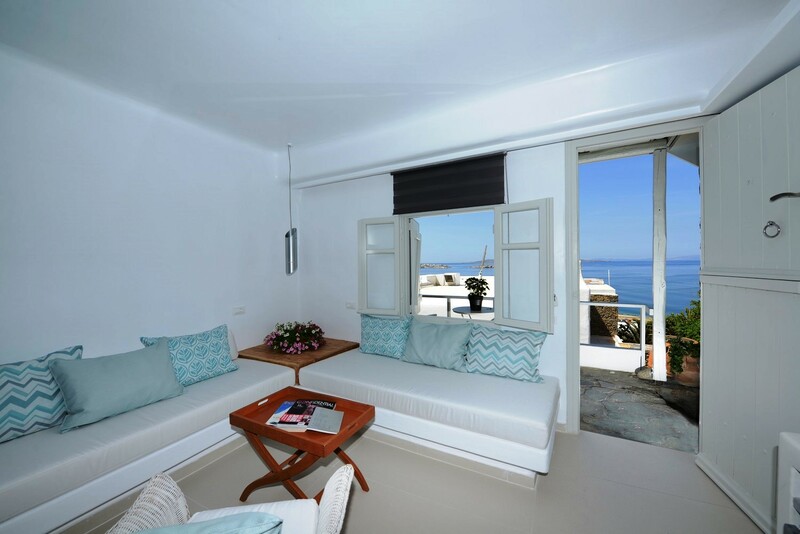 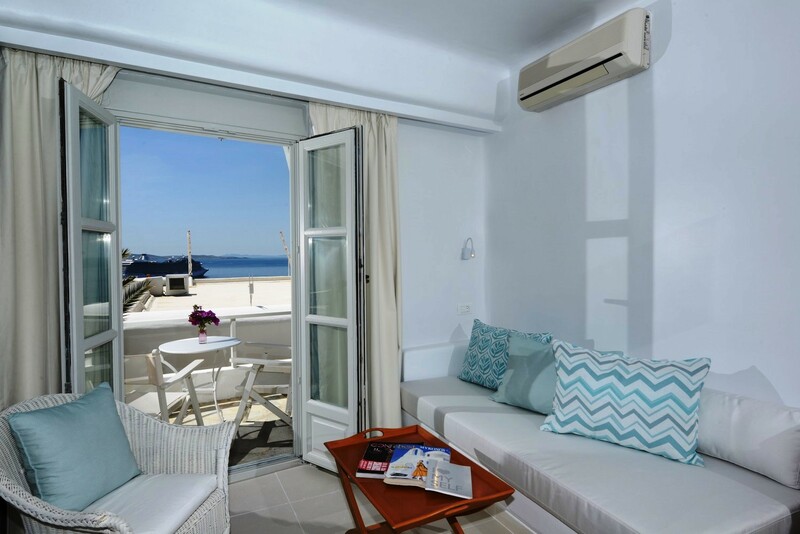 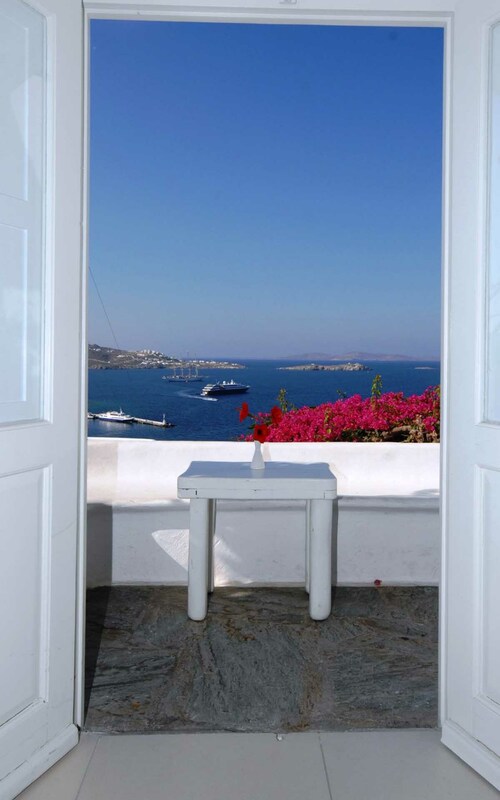 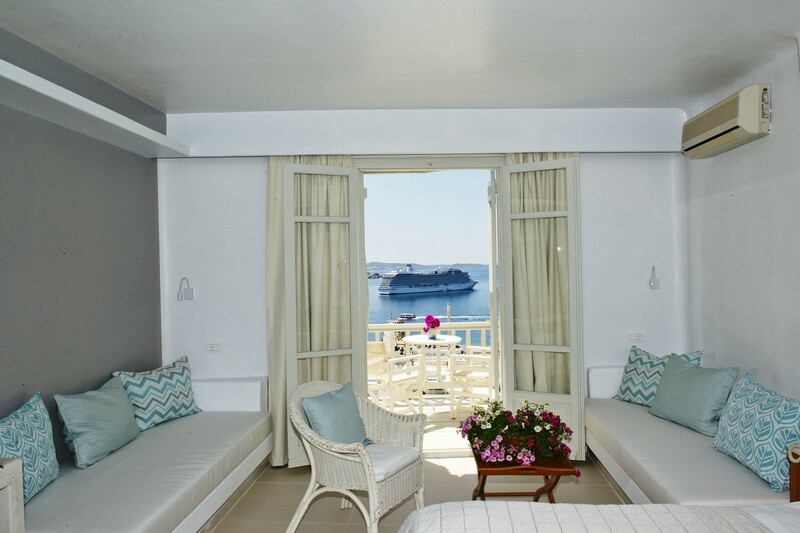 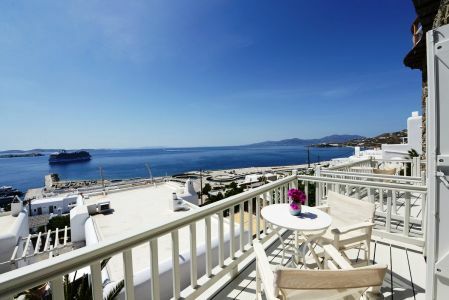 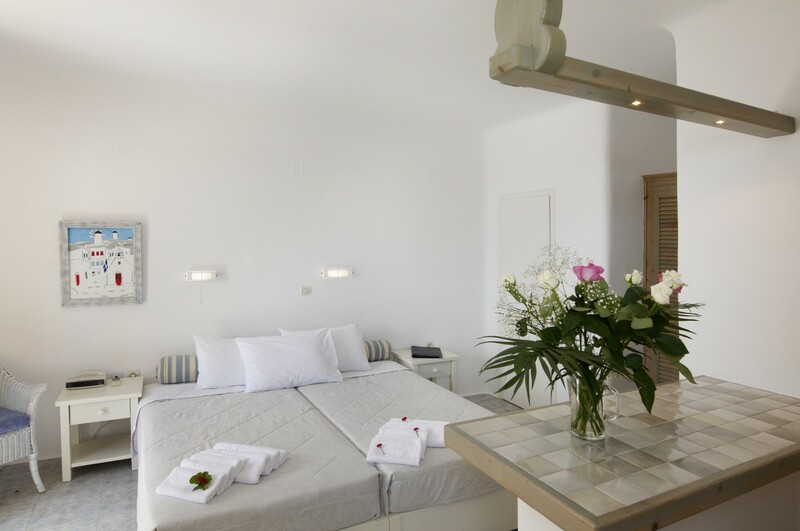 The suites are conveniently located with a terrace or balcony overlooking the Aegean Sea, offering quick and easy access to all hotel services. 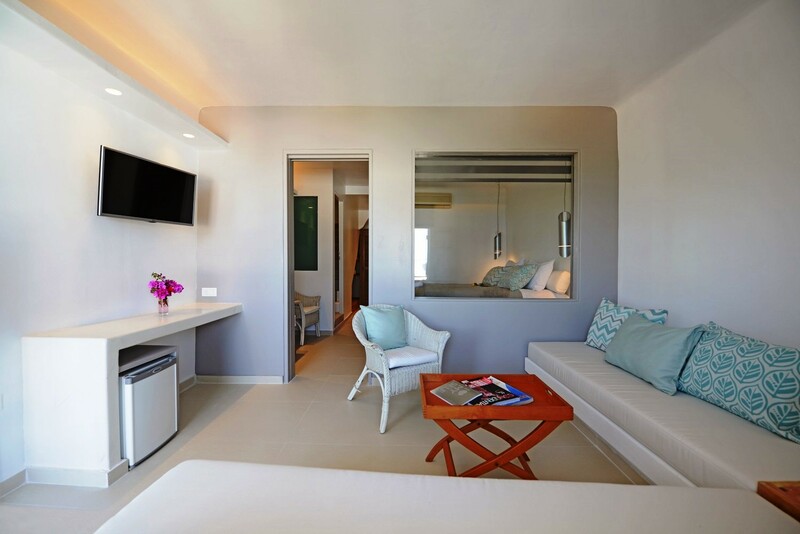 Individually Controlled Air Conditioning, Flat screen TV , Wireless Internet Access, Coffee & Tea making facilities, Electronic Safe Deposit Box, Mini Fridge & Direct Dial Telephone.